These stanchions with retractable maroon belt make great crowd control fixtures because they can form lines and direct crowds. 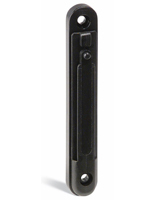 This type of post is made of metal with a neutral satin black finish to fit in any environment. 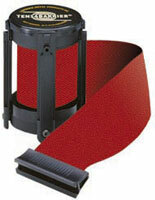 The stanchions' maroon belt measures 13' long, 2" wide and is placed next to adapters to conenct to up to three other poles. 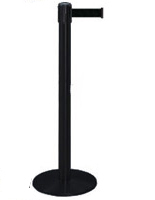 Each post is made from durable metal and includes a round weighted base for stability in high traffic areas. 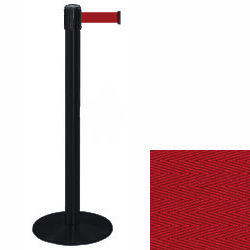 The stanchions can be set up to make simple lines or more complex shapes for any location.